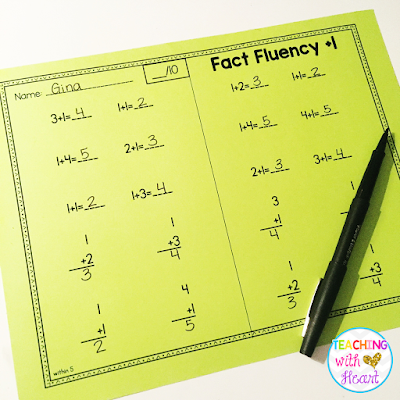 Teaching With Heart: Fact Fluency Fun! 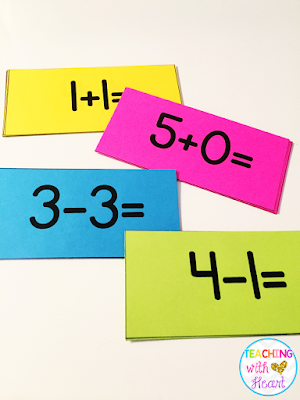 Fact fluency can be tough for little learners, especially since they are just learning the basics of addition and subtraction. Not only are we asking them to solve equations, but we're asking them to do it with automaticity! Poor little guys! I have spent the last few years playing around with what works and what doesn't in the world of fact fluency, and I finally got to a place where it all clicks for me. 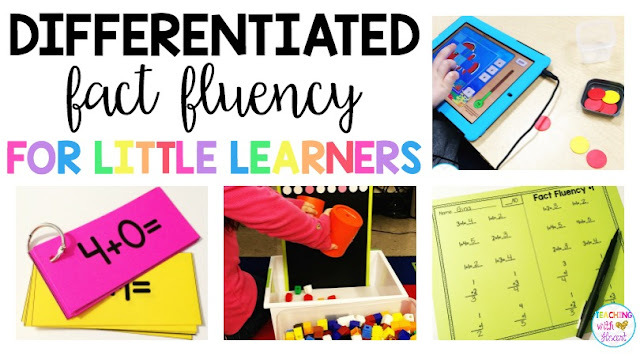 Fact fluency is NOT one-size fits all, so we shouldn't treat it like it is. We need to meet our kids where they are, and not where we want them to start. 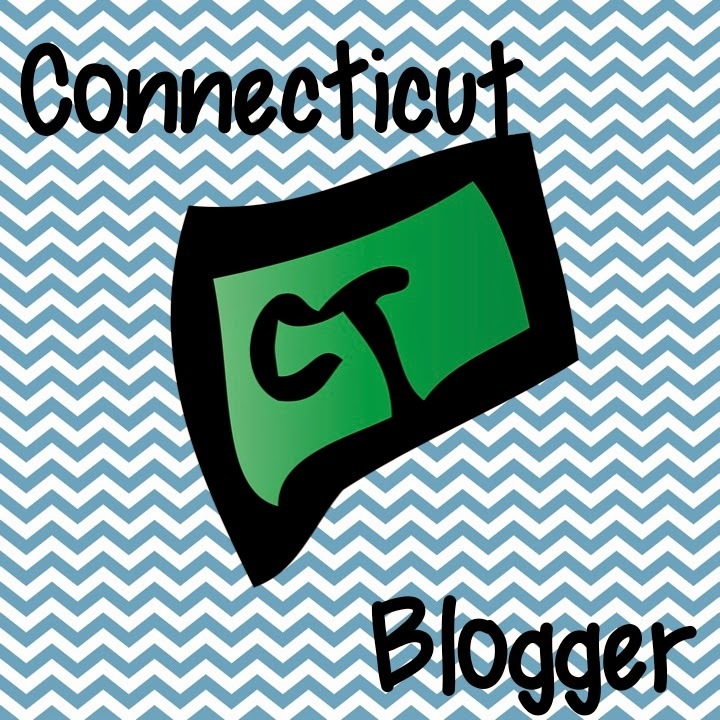 Here's how I tackle fact fluency in my classroom. 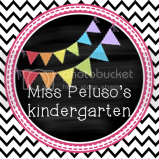 My first job is to pre-assess my kiddos. They're not all going to start on +0 facts, because some of them are beyond that. Why would I waste precious time and have them be bored?! Remember, we need to be challenging our learners by meeting them where they are! Before we start guided math every other day, we take our Fact Fluency test. I print the tests on the same color paper as the flash cards so it's easy for me to know who gets what test. My kids fold the paper in half and get started on the left side while I'm passing out papers and people are choosing spots to work in (the left side is the WARM UP). Once everyone is ready, I set the timer for 1 minute, and they flip over their paper and answer as many questions as they can. (The right side is the TEST) When time is up, they put their pencil in the air, and I collect the papers. Then we split into our guided math groups. While everyone in my group is getting settled, they take their math fact rings and review their facts or help a partner review his/hers. 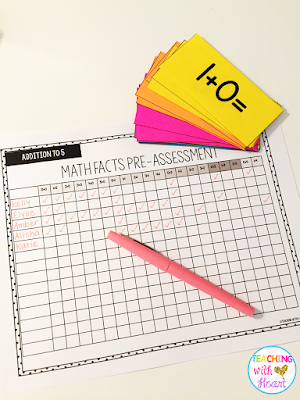 Each time they get a new set of facts, they write the answer on the back of each flash card in pencil so that it's easy for them to check if they're right. This is a routine that I've built into my guided math rotations, and it has paid off big time! Of course, they're not only learning their math facts through their fact rings. It takes a lot of hands on practice and exposure to really make them stick! 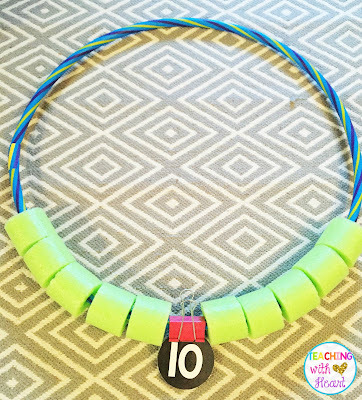 These DIY GIANT number rings are a favorite whole group, small group, and independent activity! Students have a blast exploring the combinations for each number by changing the number card and the amount of "beads" on the hula hoop! By moving the beads around, they can explore the numbers that add to the given sum! 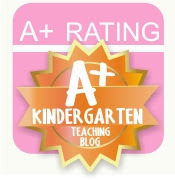 We L-O-V-E a good app! Undersea Addition is one of our favorite FREE math apps! You need to answer addition equations to reveal a secret picture... what fun! It even gets more challenging as you complete levels which is great for your advanced kiddos! This Math Machine was a BIG hit in kindergarten this year! We did a lot of hands on practice with putting two groups together, and it really helped the math STICK! I just love when you can see their little wheels spinning! We also explored addition and subtraction using our WHOLE BODIES! Our giant ten frame (made just out of masking tape) was the perfect way to talk about adding and subtracting within 10. Do you notice a pattern of GIANT things going on here?! We couldn't practice addition and subtraction facts without a GIANT number line! I love that my kiddos can get up and MOVE! So next time you think about Fact Fluency, don't forget to think about the FUN that goes with it! I love that I'm able to make both differentiated and fun for my students, and I think that's why we have so much success! 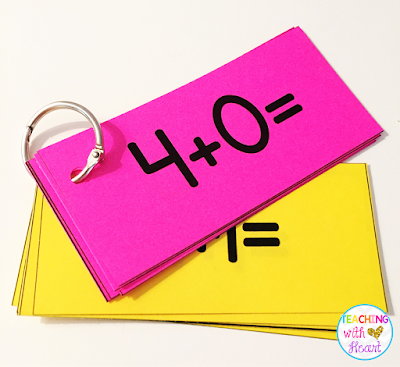 If you're looking for even more ways to practice addition and subtraction, I've got a whole other blog post for ya! And don't forget to check out our Meaningful Math Centers for low prep, differentiated activities! 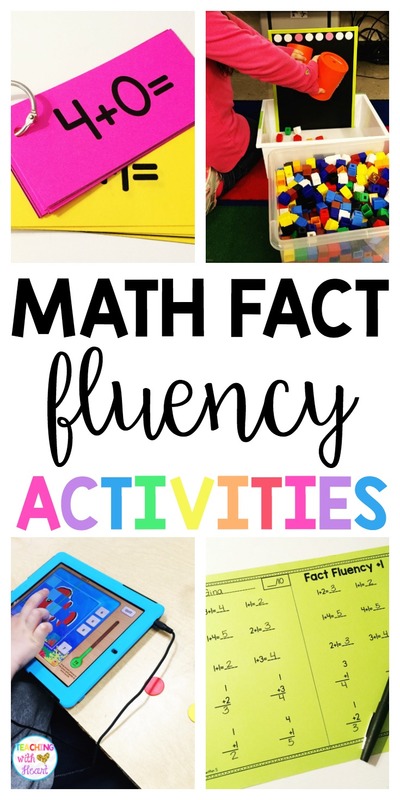 You can also find all of the Fact Fluency resources here!